Chotkovy sady (eng: Chotek Gardens) –the first public park is situated close to Prague Castle and the Royal Garden. The park has a total area making 3,7 hectars and ranks among the less extensive ones. Despite its small size it has its own atmosphere and looks rather mysterious. Until 1833 the premises had been used as an occasional storehouse for lumber adherent to Prague Castle. And that was a pity – such a beautiful place being a wood storage! 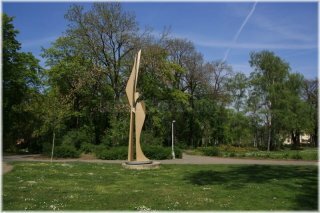 That was a challenge for the contemporary grand burgrave Earl KarelChotek based on whose impetus a project for a generally beneficial green space for people was carried out (therefore it was originally called Lidová zahrada – People´s Garden). 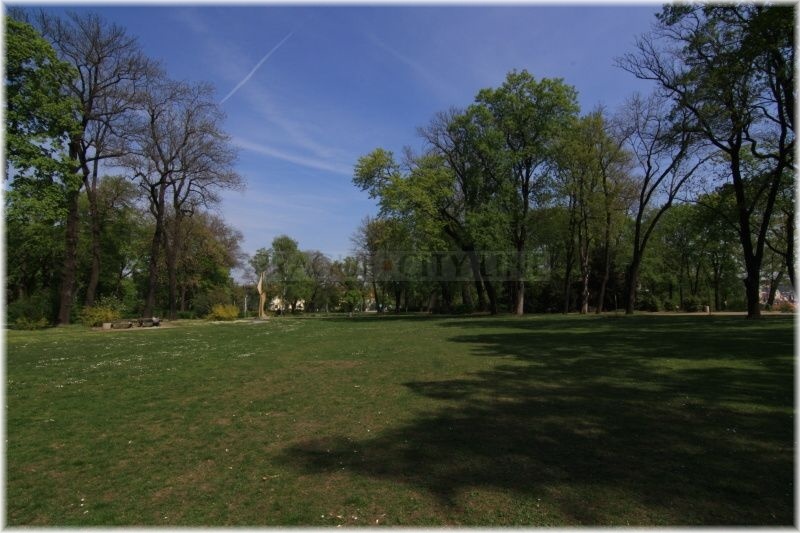 So Chotkovy sady is the first and only green space in Prague which was performed entirely for the public utilization. The newly rising park was planted by more than 60 tree species which gradually grew up and created the image of a game preserve. In 1887 a decorative small pond and in 1913 a memorial to the Czech writer Julius Zeyer by a sculptor and architect Josef Mauder were created. We need to say that the memorial and the place look rather gloomy or even spooky, especially during autumn flurries. But this impression is evoked also by Zeyer´s daemonic image and his epical works, so it is fitting. Chotkovy sady is not a place for long trips or some activities. 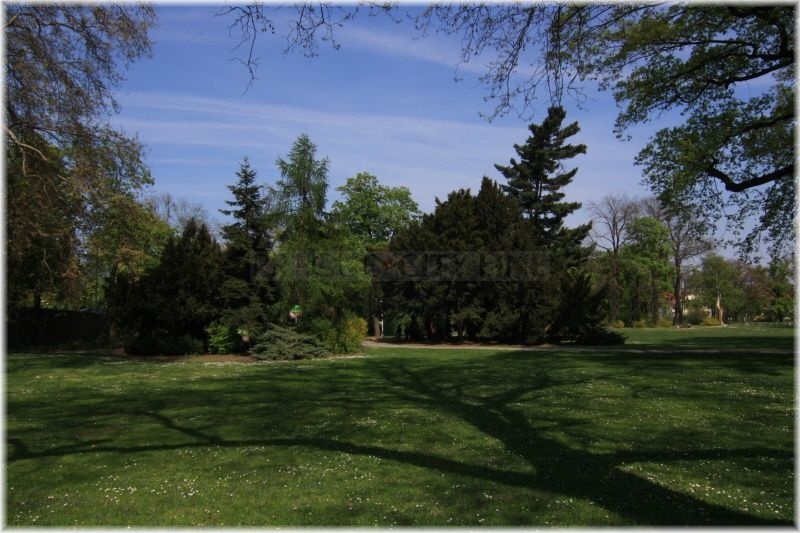 Vice versa – it is a quiet, even intimate green space with soothing atmosphere. It is suitable to connect this walk with a visit of Královská zahrada (Royal Garden) – in the western direction around letohrádek královny Anny (eng. 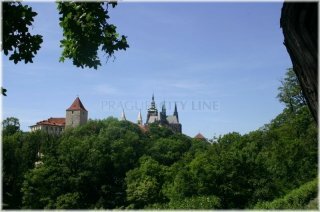 Queen Anne´s Summer Palace) or with Letenské sady (Letná Gardens) – in the eastern direction across the foot bridge above Chotkova street. But you definitely cannot miss the panoramic view of Prague in the southern part of the park. Guess how many Prague turrets you will recognize from the bird´s eye view. Surely more than a hundred. Do not search for resaturants or kiosks in Chotek Gardens. They would not fit in here. You will find enough attractions of this kind in the reach of several minutes walk in direction of civilization in Špejchar or in Letná Grdens. The park is not suitable for sport activities, either. https://www.praguecityline.com/prague-monuments/chotkovy-sady-the-first-public-garden-in-prague https://www.praguecityline.com/prague-monuments/chotkovy-sady-the-first-public-garden-in-prague https://www.praguecityline.com/prague-monuments/chotkovy-sady-%e2%80%93-the-first-public-garden-in-pragueIt is not used for consumption or physically demanding activities. It is a quiet silent place for mental relaxation, the way Earl Chotek may have wanted it. The park has no boundaries and is opened to the public all-year-long.